Two critical factors affecting heater element life are watt density and sheath material. The incorrect sheath material can allow corrosion and poor heater life. The material must be suitable for the corrosive conditions and extreme temperatures of the process. Watt density, is the measurement of how many Watts are used per square inch of heater surface area. Metal sheathed electric resistance elements will perform sufficiently at temperatures ranging from -300 degrees F to 1500 degrees F. Steel sheathing is used for oil immersion. Copper sheathing is commonly used for low temperatures and direct water immersion. Stainless steel and INCOLOY® are used when heating corrosive solutions or high-temperature gas/air. The maximum sheath temperature of the heating element is determined by final the operating temperature of the process and the watt density. 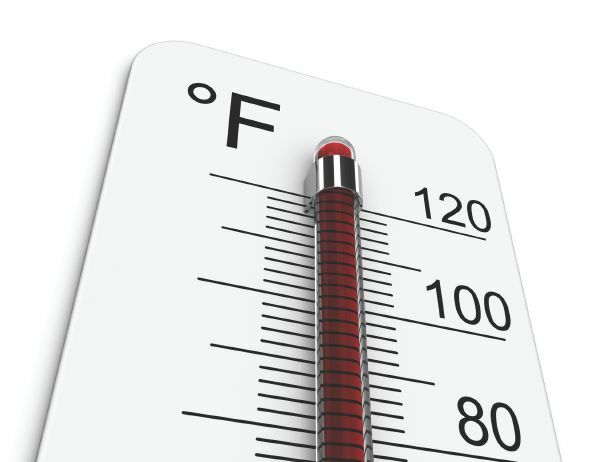 The sheath temperature should allow for increased life expectancy of the electric element and should prevent damage to the fluid being heated. 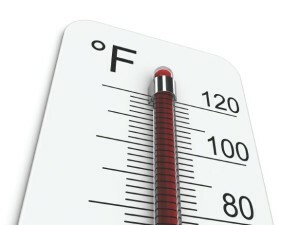 For direct immersion applications, sheath temperature will relate to the temperature of the heated media. In clamp-on air and gas applications, the operating sheath temperature can be estimated by using factors from empirical charts. Materials such as water, vegetable oils and salt baths will withstand relatively high sheath watt densities. Petroleum oils and sugar syrups require low watt densities, giving these solutions high viscosity and poor conductivity. When the watt density is too high, the material will overheat or carbonize; resulting in damage to the equipment. For more information on watt density and sheath material; please contact us at: http://accutherm.com/.